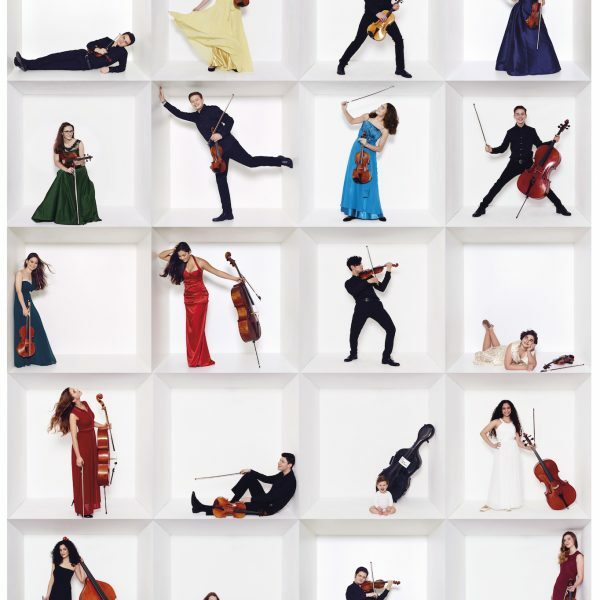 The award-winning young string ensemble is made up of highly gifted young soloists aged 12 to 23 and brings together musicians from more than 15 nations. 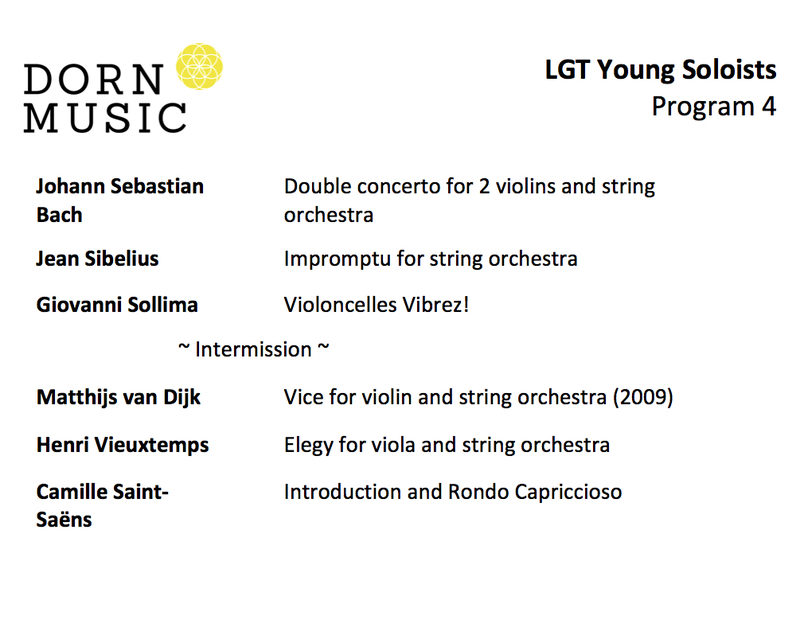 Together, the members of the LGT Young Soloists have won more than 80 prizes in national and international competitions. 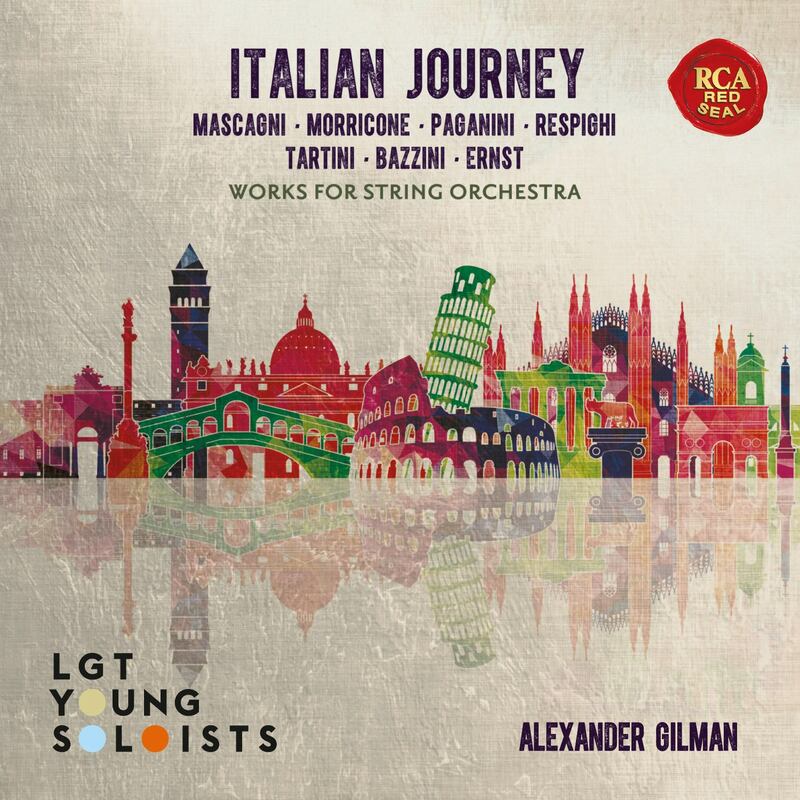 The year 2018 will take the LGT Young Soloists to Hong Kong, Singapore, Belgrade, Zurich, Munich, Düsseldorf and London, among other cities, as well as to the Dresden Music Festival for the first time. The month of August will also see their second period in Mattsee, Austria, where audiences will be able to hear them perform as orchestra-in-residence at numerous concerts and public rehearsals. 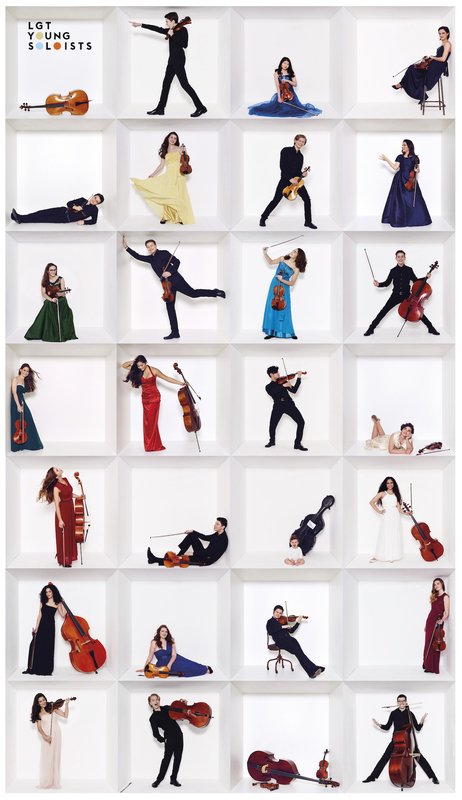 The highlights of the 2016–17 concert season included performances at the Rheingau Music Festival, the Tonhalle in Zurich, Victoria Hall in Singapore, the opening of the Liedwochen at Schloss Elmau with Juliane Banse and a tour of Israel and Germany. 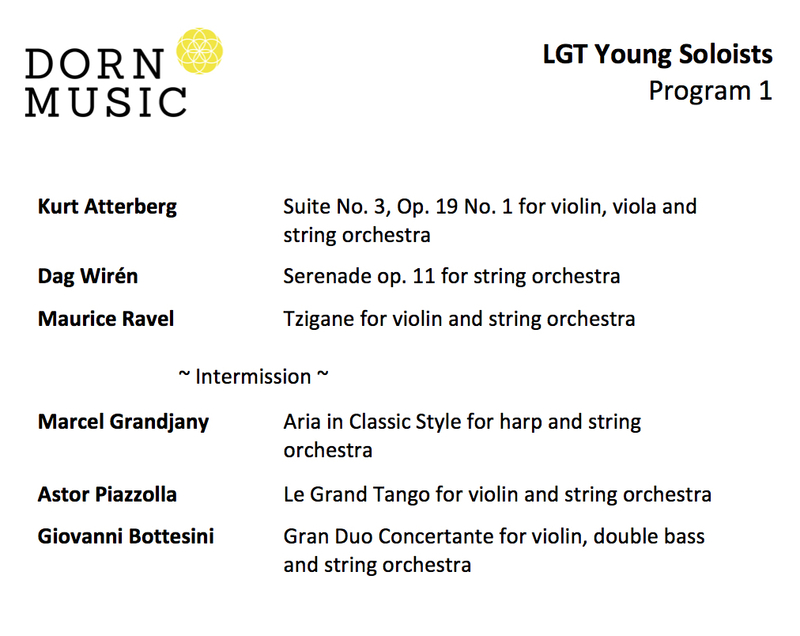 Furthermore, the LGT Young Soloists gave guest performances at the Shenzhen Concert Hall in China, at the Tainan Art Festival, aboard the MS Europa 2 as well as at leading concert halls around the world in major cities such as New York, Beijing, Shanghai, Dubai, Moscow, Munich, Vienna, Zurich, Paris, Hongkong, Singapur and Tel Aviv. 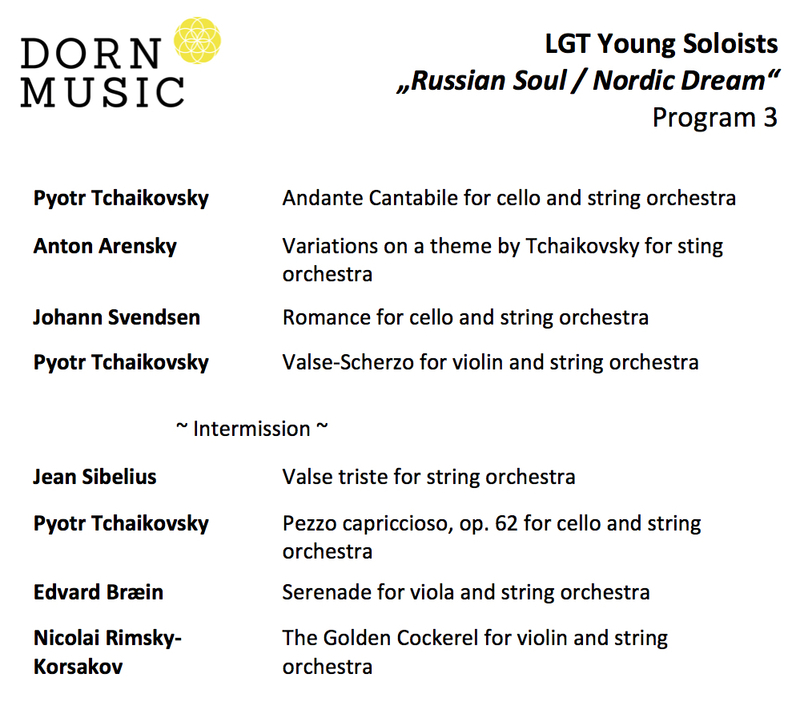 As far as recordings are concerned, the LGT Young Soloists‘ third CD, Nordic Dream, has now been released. 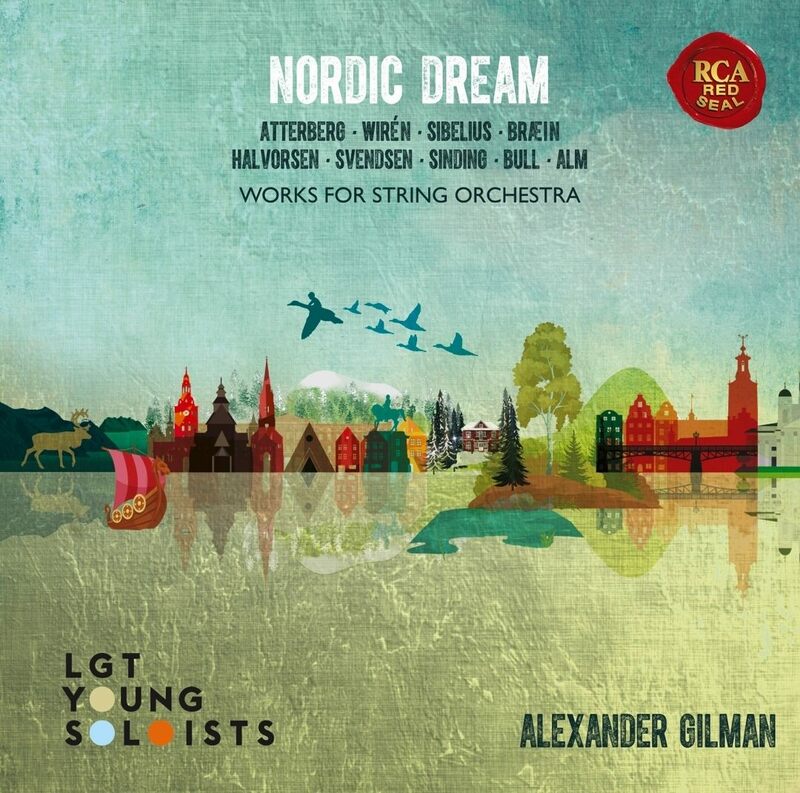 It is dedicated to works by Scandinavian composers, including several rarely played pieces that enhance the repertoire. 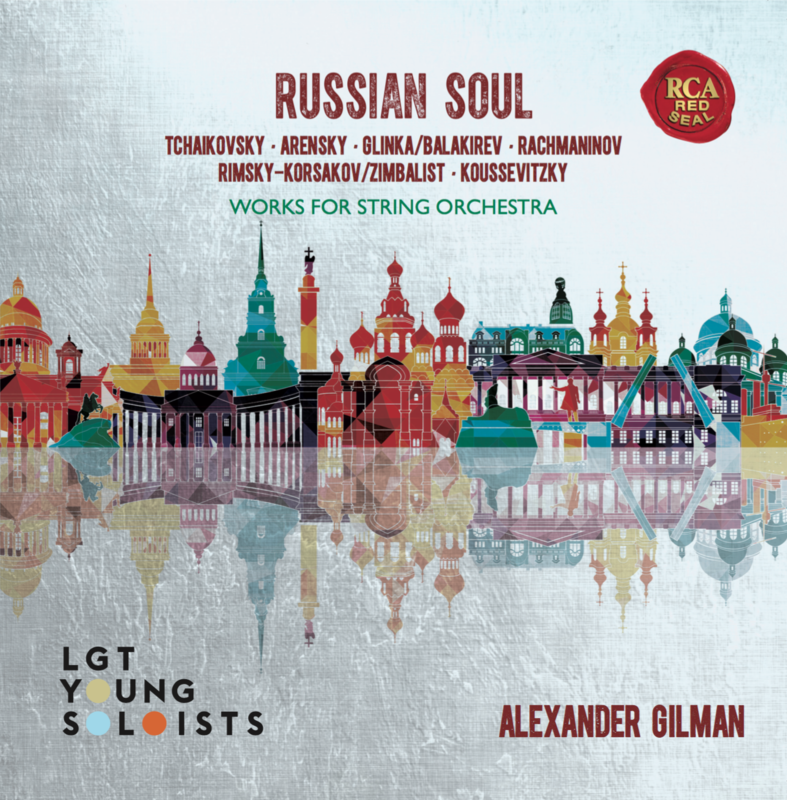 Alexander Gilman and Marina Seltenreich’s idea of uniting high class young soloists in one ensemble came to life in 2013 in partnership with LGT Private Banking. 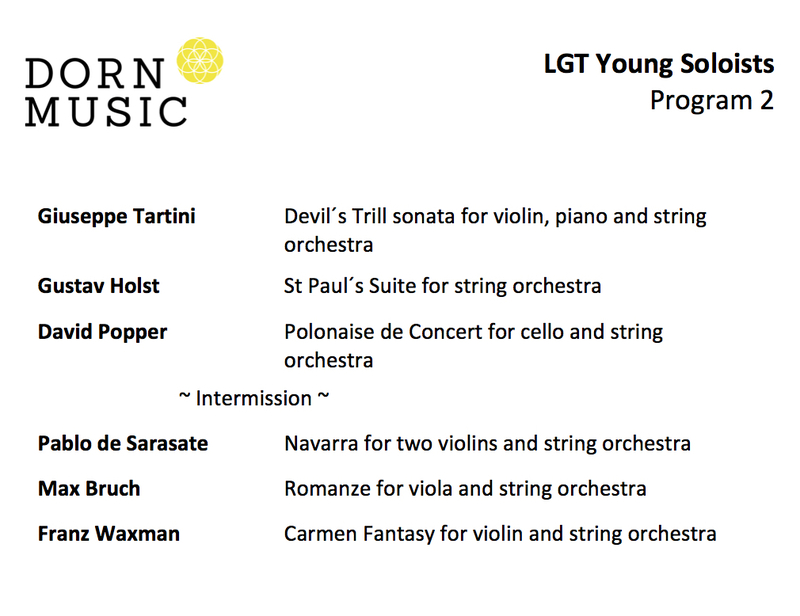 The LGT Young Soloists are represented worldwide by Dorn Music.